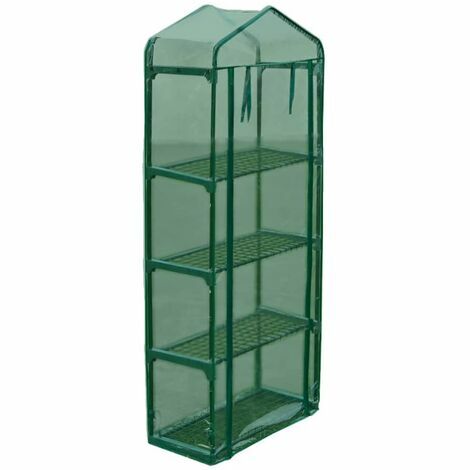 This greenhouse can accommodate a considerable number of plants with its dimensions of 69 x 32 x 160 cm (L x W x H). It has a transparent green covering which allows sunlight to reach your plants and flowers. The cover is UV resistance and frost safe. The film is tear-resistant and the pipe frame is made of powder-coated steel. This altogether makes the greenhouse strong and firm. Also, there are four shelves with a zip-up door for optimal storage. Please note the roof of our greenhouse cannot withstand heavy snowfall. Perfect but the green cover is a little flashy!